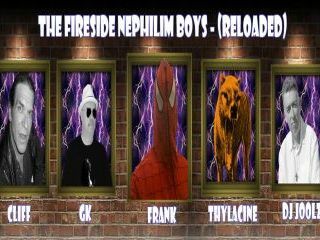 TMR 162 : The Fireside Nephilim Boys Reloaded - Happy New Year ! What if the moon is really a hologram? How many memes can dance on the head of a pin? Why hasn't Frank Johnson been abducted by the Nephilim Fairies? How many thylacines does it take to change a light bulb? To kick off 2017 here at TMR we welcome back high-ranking members of The Fireside Nephilim Boys, a semi-secret society and multinational think-tank affiliated to Like Flint Radio, for another friendly and entertaining New Year roundtable chat. Joining together from diverse regions of ... See More the globe we look back over the last year and discuss pretty much anything that managed to get our collective goats during 2016.